Labor Day is one of the most important holidays in the Marshall Islands. Celebration of this day annually falls on the first Friday in September. 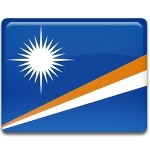 The Marshall Islands joined the International Labor Organization in 2007 and celebration of Labor Day was moved to official level. The islanders of the Marshall Islands are divided intro three social classes: the iroji – chief, the alap – owner or elder, and the rijerbal – worker or commoner. All families of the Marshall Islands belong to one of these classes. However, the division among the classes is not the same across the islands. For instance, some families may be an iroji or alap on some islands and a rijerbal on the other islands. Labor Day is organized to celebrate the work of simple workers (rijerbal) of the Marshall Islands, who are responsible for all manual labor, that is done daily. Celebration of Labor Day gives the rijerbal opportunity to have an additional day off and enjoy festivals, parades, fairs and other events, that are organized on their honor.